Rural Somerset in the South West is a county of rolling hills and national park. Agriculture is the major business as well as production of the county's famous cheeses and strong cider. 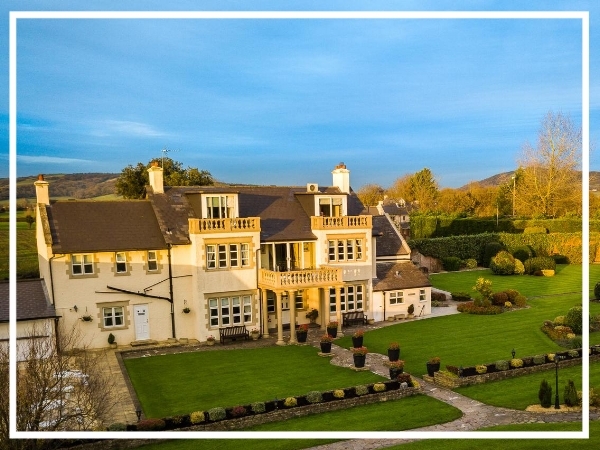 For top team builds in Somerset, we recommend making the most of your beautiful surroundings by shooting your own advert in our Commercial Break event. Home to Britain’s oldest complete human skeleton, estimated at 9,000 years old, Cheddar Gorge is a natural wonder and a must see attraction. And so is the county town of Taunton with over 1,000 years of religious and military history. With the annual West Country Carnival and the Taunton flower show, an iSpy treasure hunt in Taunton is is sure to be a triumph! Speak to our friendly sales team today on 0845 006 06 06 for some more great ideas or complete a quick online enquiry form and we will get back to you. Owner Ian Clapp, whose family has lived at the manor for four generations, has created a unique venue with a relaxing Elemis spa and well-equipped gym. Situated in 28 acres of countryside, yet with easy access to the M5, this is a great event destination! Woodlands Castle is set within 12 acres of private grounds and surrounded by woodland making the house a secluded haven; yet just minutes from Taunton town centre and the M5. Just perfect for an atmospheric murder mystery or our outdoor Cryptic Challenge event! Dillington House is a beautiful location where the past and the present meet to create an amazing experience for your corporate away day or private event. With 40 rooms and an enviable reputation for quality catering, this is in our top destinations for the South West.